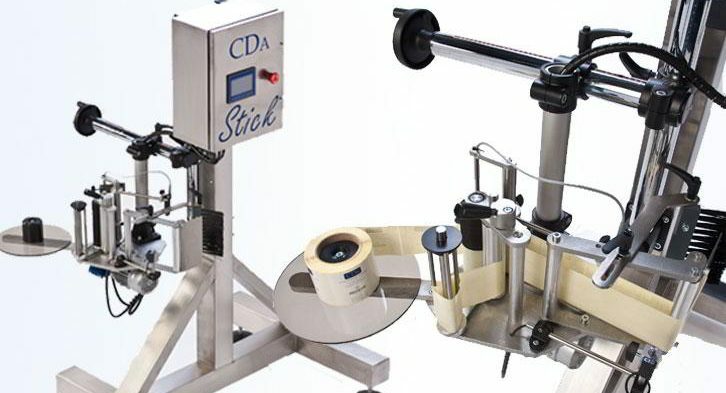 Standalone label dispenser to apply self-adhesive labels on any support (boxes, cans, pails, square bottles, BIB etc…). 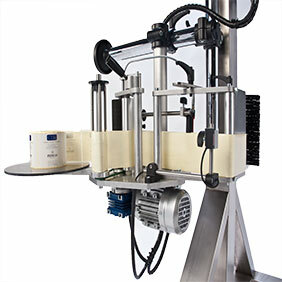 The single label dispenser can be integrated to an already existing packaging line thanks to its holder adjustable in height and width by a crank. 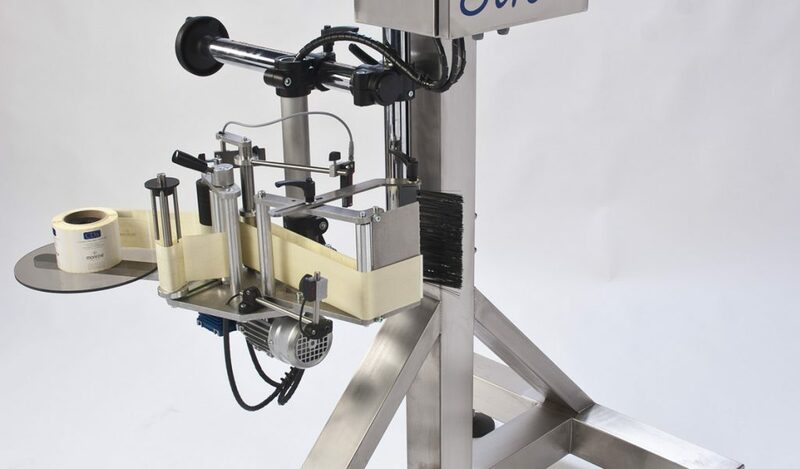 This machine can also be set on a stand built on wheels and adjustable in height (optional) and can be outfitted with 1 or 2 labelling heads. 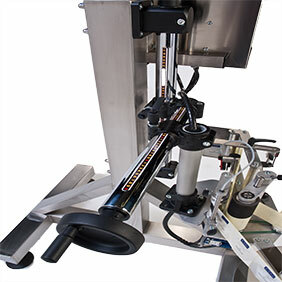 This machine can also be outfitted with an adjustable head to apply labels on top of a product. Control of the machine by a touch-screen display. Easy run of label band.